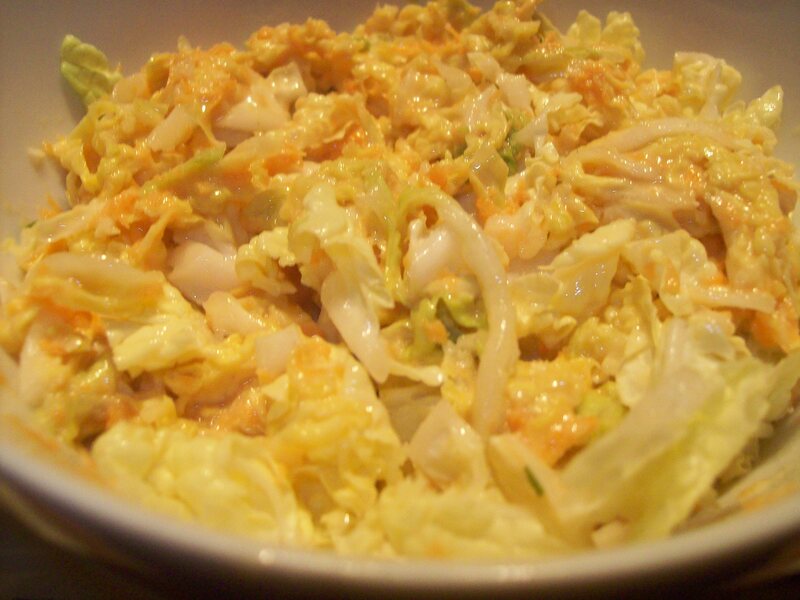 Combinethe cabbage and carrots in a large bowl. Finely grate the onion over a small bowl to capture the juices as the base of the dressing. Again, I used my microplane for this task. Whisk in the tahini, lemon juice, honey, and olive oil. Season with salt and pepper. Pour the dressing over the vegetables and toss to evenly coat. Taste and adjust seasonings if needed. If desired, you could serve this with some chopped toasted peanuts or cashews over the top.